Say hello to a black pencil skirt. In today’s article, I am about to show you great outfit combinations with different jackets and black pencil skirt. No need to describe the versatility of this bottom piece, it can be used for work, parties and casual walks on the town. The skirt by itself comes with a beautiful silhouette featuring a narrow, straight cut. It ideally reveals the figure of a lady, it hugs the curves of a woman’s body. Most pencil skirts end at the knee, but I love when it’s slightly below it. Modern fashion offers pencil skirts made of lace, leather, sheer materials, embellished with all kinds of embroideries, but I suggest to start from classic versions. 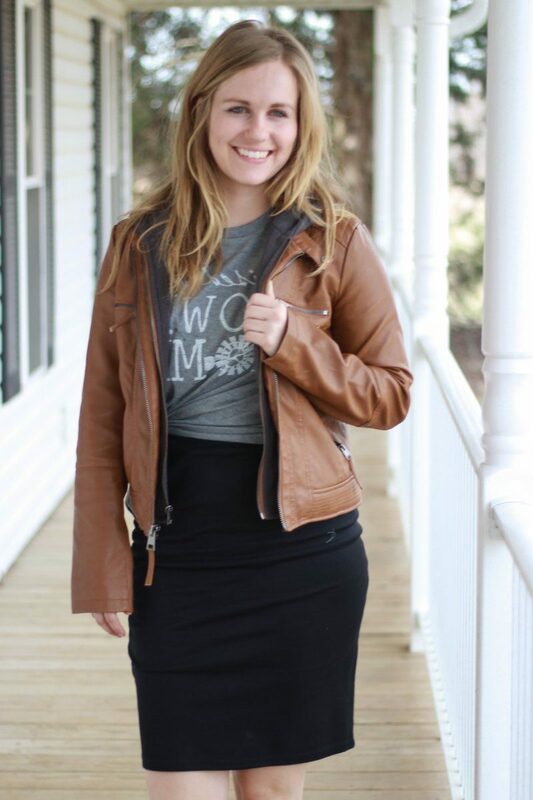 In this blog post, I gathered interesting ways to wear this black skirt with different jackets, including leather, fur, and denim versions, as well as vests, down jackets and many other cool outerwear pieces. That’s a superior look for a casual day off. A high-waisted black pencil skirt ideally matched leather bandeau crop top in black, layered with a light bomber jacket. 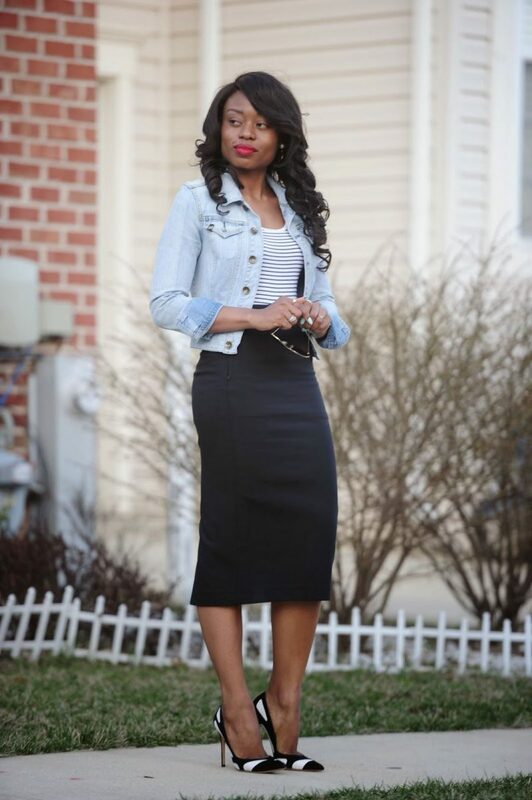 I love the way this outfit is finished: heeled black pumps made of leather are great!